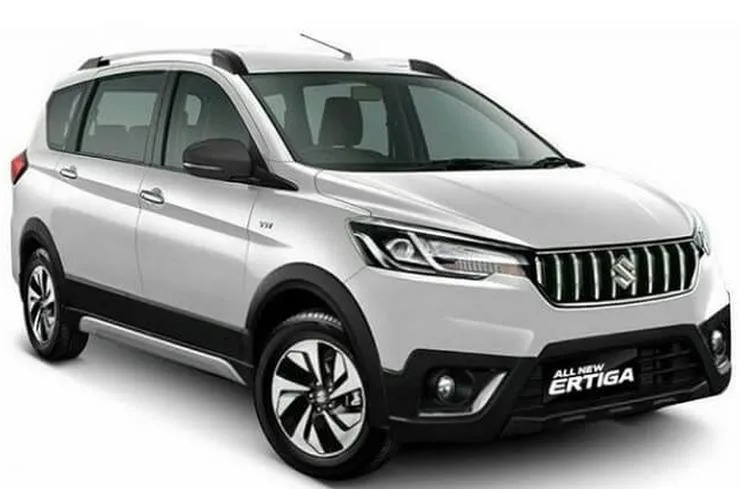 Price of the Suzuki Ertiga Sport 2019 – More and more cool MPV cars are marketed. And the latest is the All New Suzuki Ertiga Sport. This car offers a more sporty design than the standard All New Ertiga. A variety of the latest features have also been added so that the Ertiga Sport car can compete against the Mitsubishi Xpander and the latest Toyota Avanza which are equally competing in the Multi Purpose Vehicle (MPV) segment. Not only does it change the exterior, Suzuki also complements the Ertiga Sport with a more luxurious, sporty and comfortable interior. In addition, this car is available in manual and automatic variants. The price is slightly more expensive than the All New Ertiga GX which is the highest type of the All New Ertiga family. We are sure that those who have bought Ertiga GX will be a little sorry, because the design of the Ertiga Sport is much cooler. 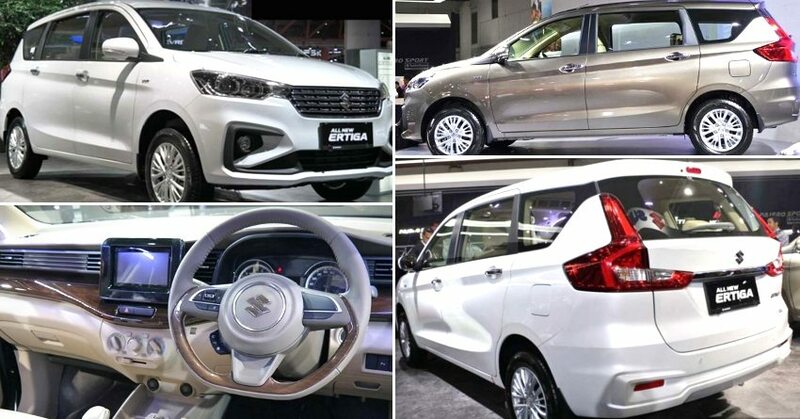 The presence of the All New Ertiga Sport further strengthens Suzuki’s position to compete against Toyota, Mitsubishi, Honda and Daihatsu in the MPV car segment. Moreover, this car offers a myriad of advanced features that are ready to optimize the comfort and safety of the rider. All that is done so that more people will switch to using the All New Ertiga Sport as a reliable family car every day. The exterior design of the Suzuki Ertiga Sport deserves a thumbs up. This car comes with a more sporty design and is more modern than the standard All New Ertiga. Where on the front there is a new Grille that is squeezed by Projector lights with aggressive and modern designs. In addition, Suzuki equipped it with a DRL lamp that is above the fog lamp and brought there already a Front Under Spoiler that reinforces the sporty impression when looking at the All New Ertiga Sport from the front side. Then for the side, the All New Ertiga Sport has a dynamic body curve and features Sider Under Spoiler and 15 Tone Dual Wheel Alloy wheels. While for the rear has been installed several additional features, such as Rear Defogger, Rear Upper Spoiler, Rear Under Spoiler, and parking camera. Each side looks really cool, making the All New Ertiga Sport even more special. About the dimensions, this car has an overall length of 4,470 mm and a width of 1,735 mm. While for the overall height reaches 1,690 mm and has a wheel shaft distance of 2,750 mm. The dimensions of the All New Ertiga Sport are quite long, because there are already three rows of seats that can hold 7 passengers. In addition, this car has the lowest distance to ground or a ground clerance measuring 180 mm and is supported by a maximum turning radius of 5.2 meters. Suzuki not only optimizes the look, but also maximizes the interior aspect of the Suzuki Ertiga Sport so that all passengers feel comfortable. The interior of the Ertiga SportInterior is a luxurious, sporty and comfortable one of the advantages of the Suzuki Ertiga Sport. The cabin of this car is very wide and inside there are already three rows of seats that can accommodate up to 7 passengers. Each row of seats has a spacious leg room and is supported by a black interior that gives a sporty impression. In addition, there are also a range of functional features such as A / C with Auto Climate and Digital Heater which make it easy to adjust the temperature in the cabin according to the weather. On the dashboard also installed a touch screen Head Unit to display the parking camera as well as an entertainment system to drive boredom when driving. 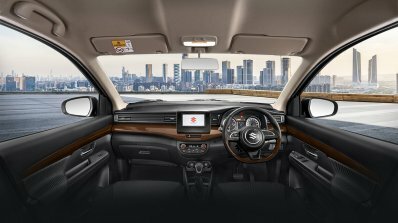 Interestingly, Suzuki beautified the Ertiga Sport’s interior appearance with a wood-patterned board and a variety of instrument panels designed with modern designs. Then there is also a leather wrapped steering wheel equipped with Tilt Steering and Audio Steering Switch features. The Suzuki Ertiga Sport is powered by a 16 Valve DOHC 4 Cylinder engine with code K15B. The engine supports VVT technology which makes Ertiga Sport’s performance more responsive and fuel efficient. While the capacity of the cylinder is 1.462cc with maximum power output reaching 104.7 PS at 6,000 rpm engine speed. While the maximum torque penetrates 138 Nm at 4,400 rpm. Power and torque produced by the Suzuki Ertiga Sport are not much different from Avanza Veloz or Xpander. Even the power is slightly larger than the Xpander which can only issue 104 PS power and 141 Nm of torque. This car is also available in two transmission options consisting of a manual 5-Acceleration and matic 4-Acceleration. Then there is also the Multipoint Injection technology that optimizes the Ertiga Sport combustion system to produce economical and more environmentally friendly fuel consumption. Despite losing torque, Ertiga Sport still offers driving comfort that is supported by a variety of advanced features to maximize the experience of driving the best MPV cars. On the other hand, this car offers quality legs supported by MacPherson Strut front suspension with Coil Spring and Torsion Beam rear suspension with Coil Spring. Then there are 185/65-R15 sized tires mounted on the wheels. Comparable to the price of the Suzuki Ertiga Sport, Suzuki has equipped it with the Anti Lock Breaking System (ABS) feature which optimizes the Ertiga Sport braking system. As for the brakes using Ventilated Disc front brakes and leading & trailing drum brakes. Then there is also the Electronic Brake-Force Distribution feature that divides the amount of braking power to all wheels, thus making the braking system work perfectly in various conditions. The safety features of the Ertiga Sport car are indeed very complete. Not only carrying ABS and EBD technology, but also available Hill Hold Control feature that will prevent the Ertiga Sport from retreating when stepping on the gas when stopping on the incline. Then there is also the Electronic Stability Program feature that is used to maintain the stability of the Ertiga Sport when passing corners, so driving can be more safe and comfortable. Standard safety features in the form of Dual SRS Airbags are also owned by Ertiga Sport cars. In addition, there is also a Start / Stop Button feature to easily start the engine and a modern meter cluster in the middle of the MID screen that is attractive. There are still many other interesting features that you will get if you buy an Ertiga Sport car. The price of the Suzuki Ertiga Sport is quite expensive. This car still wears 15 ring wheels g. There is no Telescopic Steering feature.